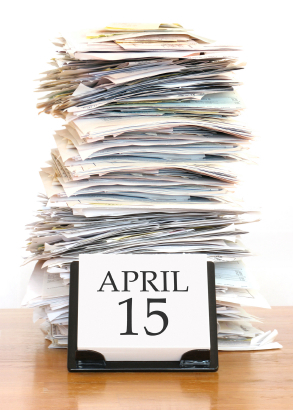 Like in baseball where the World Series is won in May and not in September, your hard earned income is not saved from the dreaded taxman on April 15th. 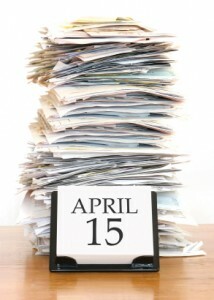 You have to plan in advance in order to save your dollars from being nickeled and dimed to death by taxes. Now is the time to start making smart money moves in order to save more of your paycheck every month and have minimal impact on your life when that anxiety ridden day in April comes around again. Change Your W-4. You should adjust your withholdings so that you do not have too much tax withheld from your paycheck every month. A large income tax refund means that the government is taking too much of your money out of your paycheck each month. You are essentially giving the government an interest free loan. You can adjust your withholding by submitting a new W-4 to your company’s HR or payroll department with an updated number of exemptions. Take Advantage of College Credit. Companies can offer employees up to $5,250 of educational assistance tax-free each year. That means the boss pays the bills but the amount doesn’t show up as part of your salary on your W-2. The courses don’t even have to be job-related, and even graduate-level courses qualify. Job Hunting Expenses. Keep your receipts! You can deduct job hunting costs including travel expenses such as the cost of food, lodging, and transportation, if your search takes you away from your home overnight. Such costs are miscellaneous expenses, and you can deduct all such costs up to 2% of your adjusted gross income. Home Costs. Some costs associated with buying a new home affect your tax basis which is the amount from which you will calculate your profit when you sell. Other costs can be deducted in the year of the purchase such as any points you pay or the seller pays for you to get a mortgage and any property taxes paid by the seller in advance for time you actually own the home. Hybrid Tax Credit. You can still receive a tax credit if you buy a gasoline/electric hybrid or qualifying clean diesel vehicle in 2010. The size of the credit depends on how fuel efficient your new car is. The tax savings can range from several hundred dollars to over $3,000. A lot of the tax advantages that you will experience stem from you saving your receipts and proper documentation. You can find a whole slew of tax tips to make throughout the year, 71 tips in fact, on Kiplinger’s Personal Finance website. Now is the time to set yourself up for the future and for future success with respect to your taxes and how much money you keep where it belongs, in your pocket. Previous post: What Would You Do For Five Dollars? A Lot On Fiverr.com!